Union Public Service Commission (UPSC) shared job recruitment notification for the recruitment of Enforcement Officers/ Accounts Officers through their recruitment vacancies. All those who are mostly waited for this type of job recruitment, for them this is best job opportunity to apply for UPSC recruitment for officers vacancies. Who Can Apply? Candidates who have completed Graduate can apply for this new recruitment notification from Union Public Service Commission (UPSC). Eligibility: Eligible candidates can apply online for the Job Enforcement Officers/Accounts Officers on or before 27/07/2017. Find the below for more information about the vacancy like Age limit, Selection Process, Qualification, Application fee, How to apply etc and more. 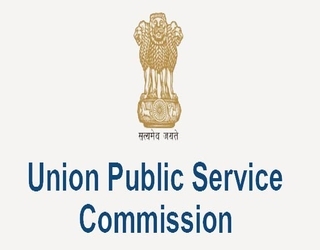 Address For The Job Vacancy: Union Public Service Commission (UPSC), Across India. (i) Post Name: Job Vacancies for the Enforcement Officers/Accounts Officers in Employees’ Provident Fund Organisation, Ministry of Labor and Employment. (iii) Pay Salary Scale: Rs.9,300 to Rs.34,800 + Grade pay of Rs.4,600/- + TA and HRA as per admissible. (iv) Educational Requirements: Candidates must be done bachelor Degree in any of the subjects and age would be preferred as of 30 yrs. (v) Desired Experiences Needed: (a) You should hold Bachelor degree from reputed institute in Law or Integrated with five years degree in Law or MBA Masters in Business Administration or PGDM Post Graduate Diploma in Management or CS Company Secretary or CA Chartered Accountant or CMA Cost & Management Accountant. (b) You also have total two years of experience in Administration or in Accounts or in Legal Matters or in any government sector or in Listed-Private Company. (vi) Duties: All the duties for Enforcement Officer/Accounts Officer job vacancies will have to work on Accounts, Admin Cash, Enforcement, Recovery, Legal Pension & Computers which also includes the legislature and admin functions such as maintenance of Cashbook, claims settlement, general admin, bank reconciliation, cash book bank records, and all other inquiries and returns. Every company have their own terms of selection process, for this recruitment all interested candidates have to apply on or before 27/07/2017. They will share more detail information for the candidature selection processes which will we share with you later by the job recruitment offers. How to Apply for UPSC Recruitment 2017? (a) For online recruitment job application submission, the closing date is till 27/07/2017. So, try to apply before the last date of this UPSC job. (b) All the interested students have to carefully fill the details in online job form application and advised to submit their applications before the said last date. (c) In case if any of candidate fill their own wrong information/details will directly turns to rejection of job application immediately at that time. (d) After submission of job application, shortlisted candidates call for an personal interview who have to bring xerox copy of their online filled application and other required documents which needs for the eligibility to UPSC recruitment 2017. (e) To apply, you have to visit the online website of UPSC i.e. www.upsconline.nic.in and start to send the job application till last date said. (f) There will be not receive any application and going to rejection if anybody send job application through any kind of other method. (g) All you applicants have to upload required educational and other documents in specific manner with job application. (h) Multiple job applications will reject and not allow to apply by same candidate if they try for again. so, fill correct information and apply will chance to get the job in right way. Many of candidates failed to remember the last date to keep remember, so always check our website and apply for this job before 27/07/2017. We will share more jobs like this, just you have to bookmark our website or visit for more job updates. Subscribe below to get free job alert directly to your email address.